Chef Chele Gonzalez has lots of love for local ingredients. 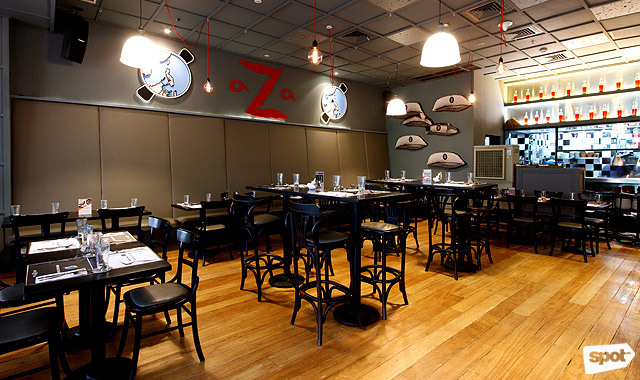 (SPOT.ph) Clinking wine glasses, paellera in various sizes, a commitment to local ingredients—all of these converge at ArroZeria, Gallery Vask's laid-back, family-friendly sister, where portions are huge and stuffing yourself is welcomed. Having moved from Century City Mall to their new branch at Bonifacio High Street, they’re bringing back the old favorites they’ve come to be known for, as well as new additions that will keep patrons coming back. Like the original branch, rice is the star here. You find it in the interiors: an artful display of rice sacks on the wall; a centerpiece of palay on the tables. ArroZeria celebrates rice from different regions, showcasing the versatility of the humble grain. At the forefront is the Ifugao Tinawon variety, which is similar to the Arroz Bomba variety commonly used for paella in Spain. Executive chef Chele Gonzalez partnered with non-profit corporation RICE, Inc., travelling to Banaue, Cordillera, and the Kalinga provinces to immerse himself with the communities and learn more about the heirloom grain. This time around, ArroZeria introduces their all-day dining options that will take you from breakfast, lunch, to dinner—and late night cocktails—should you feel inclined. Nothing says ‘all-day fare’ like eggs, and ArroZeria delivers. The Egg-Crusted Paella (P320) is an ingenious dish—paella of chorizo and longganisa with a thin layer of egg on top. Their sandwiches are also a must-try, either as a heavy snack or a quick meal any time of day. 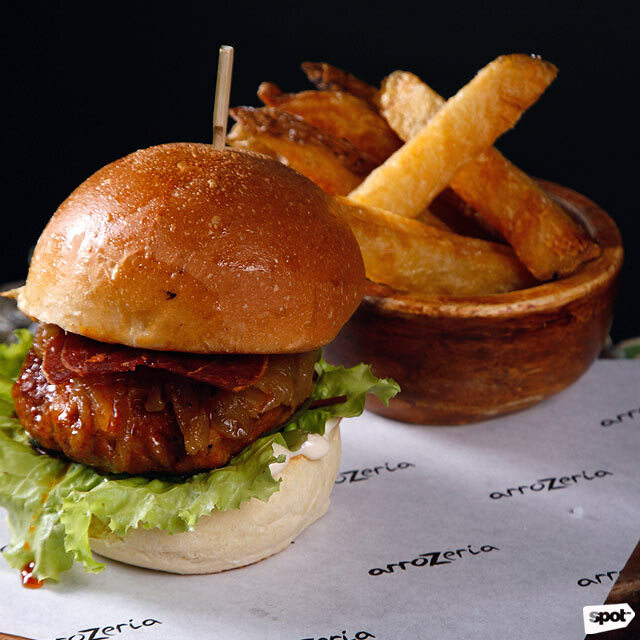 The ArroZeria Chorizo Burger (P390) takes the flavor profile of a cheeseburger but gives it a Spanish twist, with a thick homemade chorizo patty, manchego cheese, crispy jamon, and a dollop of porcini mayonnaise. Foreign-sounding names aside, the overall bite is as comforting and familiar as it is delicious. 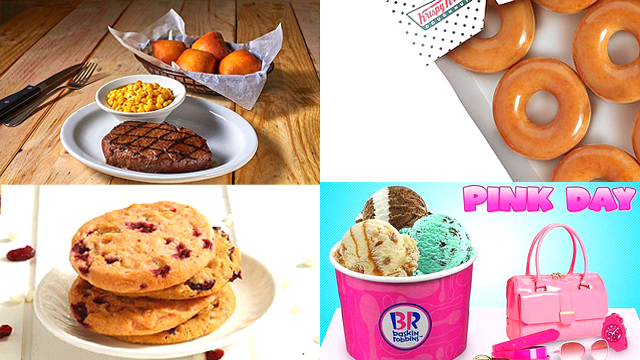 Looking for healthier fare? ArroZeria dedicates a section of the menu to greens and vegetables—but their tasty interpretations will have you drooling, veggie lover or not. There are enticing salads, including the Manchega (P295)—a sweet-and-savory affair of lettuce, manchego cheese, apples, and dried fruits. 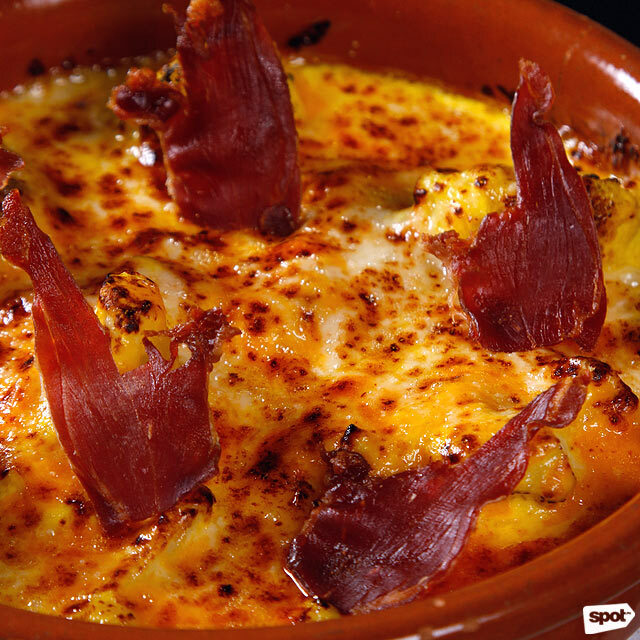 Among the more indulgent options, however, is the Cauliflower Casserole (P275; add Jamon Serrano for P80). A saffron-tinged bechamel and crisped jamon add sophistication to this comforting dish, which arrives hot and bubbly with a layer of gooey melted cheese. Be sure to ready your smartphones for a snap as you pull out the cauliflower from underneath—the way the cheese stretches out is a sight to behold. 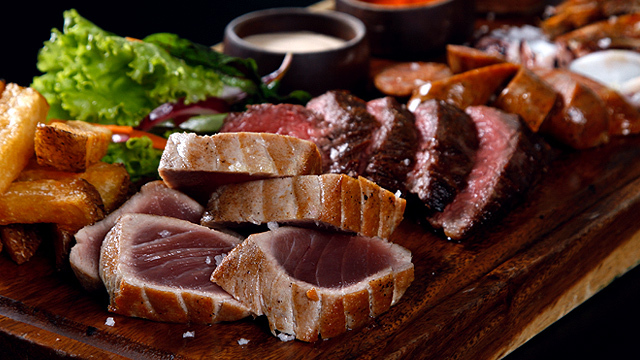 This is the dish to please both adults and kids alike. 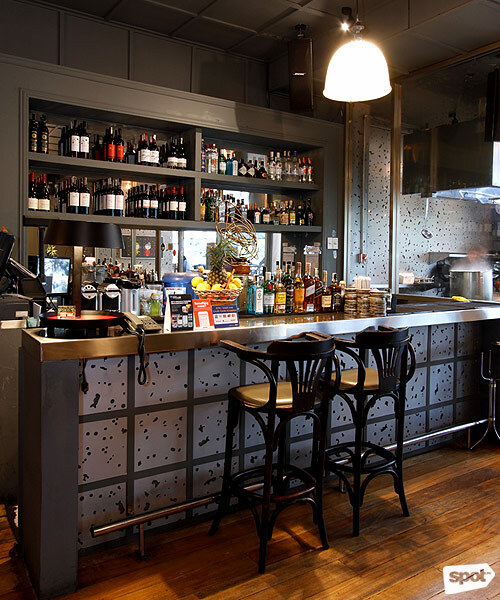 The tapas selection, while relatively tight, has enough variety of carefully selected, quality bites that are anything but generic. ArroZeria adds their own twists to longtime classics—the Crispy Lengua (P380), for example, puts the well-loved offal in a different light. Tender slices of ox tongue are coated in creamy bechamel, deep-fried, and served with tartar sauce. 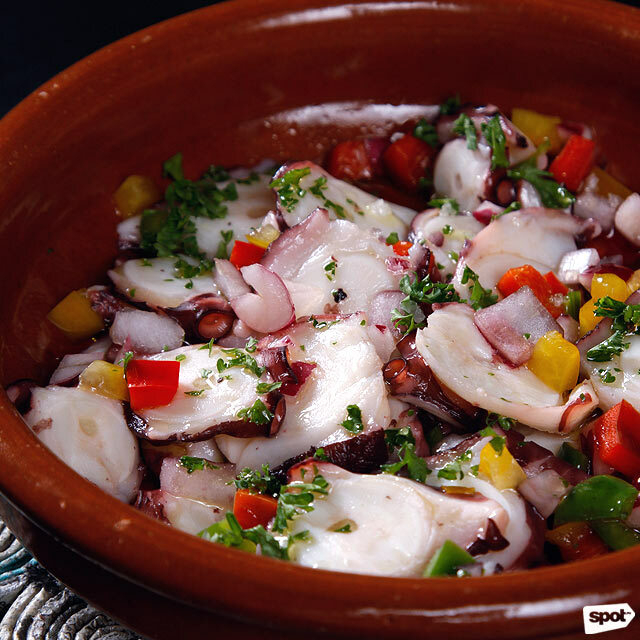 A lighter alternative is the Fresh Octopus Salad (P370): thin slices of octopus (which requires boiling for hours to get tender), marinated in a capsicum-onion vinaigrette. It’s fresh, it’s zingy, and it’s a wonderful foil to catchup sessions with friends. 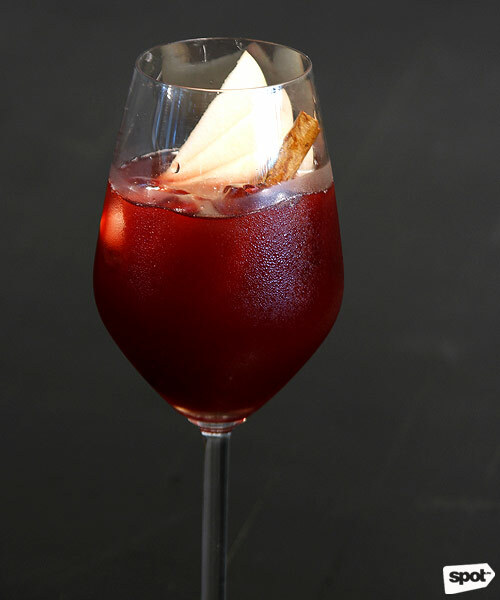 Take it with any of their Sangria—with six fruity variants to choose from (on the table is the Classic, P200/glass, P600/carafe), there’s something for everyone in the group. Their paella, of course, needs no introduction: bold, full-flavored rice to your preferred doneness (choose from the Asian-style soft and wet, or the more traditionally Spanish al dente and thin), amply topped with proteins and vegetables. Whichever you choose, all variants play up the natural nuttiness of Tinawon rice. 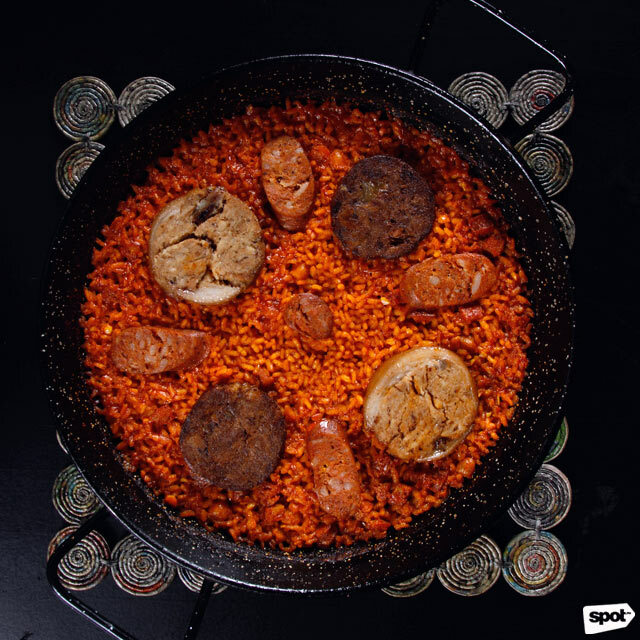 Among the more popular ones is the Rossejat (P790/12”, P1,530/15”, P2,320/18”)—paella with a hearty mix of beef shank and pork knuckle (both so tender they practically become one with the rice), chorizo, and chickpeas. 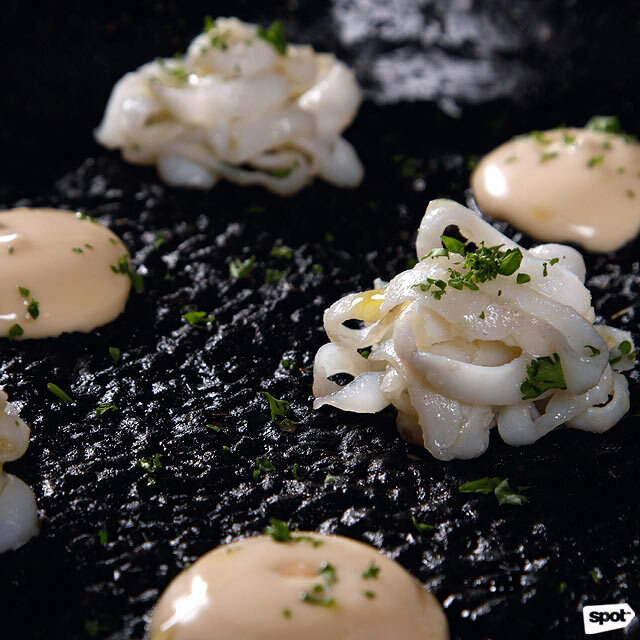 Their take on the classic Negra (P730/12”, P1,420/15”, P2,120/18”) is a stunner of jet black rice with the flavors of the sea, topped with octopus, squid, and a silky dollop of aioli. 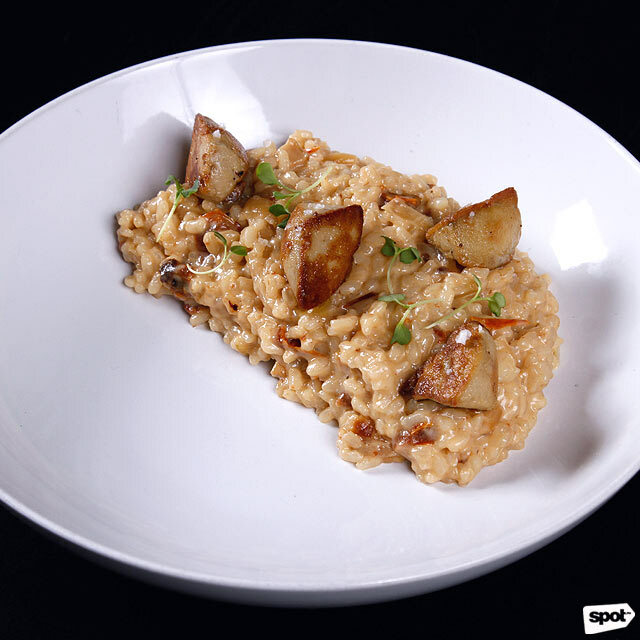 For something truly over the top, go for the Foie Gras Risotto (P595)—an unabashedly luxurious risotto dish that’s equally creamy yet earthy from porcini mushrooms. 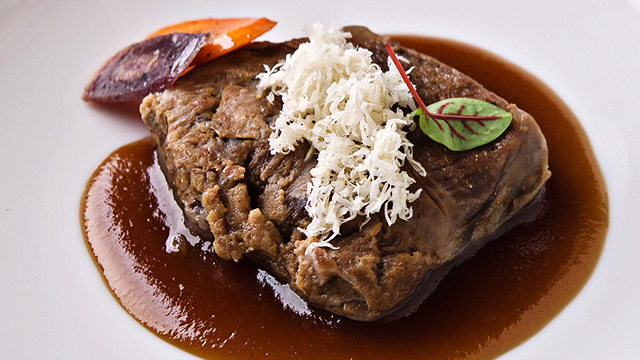 Its crowning glory: seared foie that amps up the decadence even further. 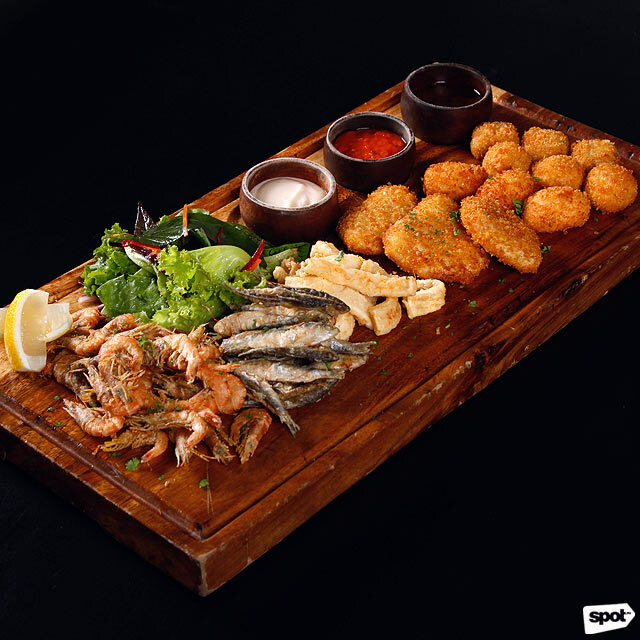 Their paella are great on their own, no doubt, but for the full experience, be sure to pair it with one of their new boards—huge platters of the protein of your choice, great for sharing with your amigos. 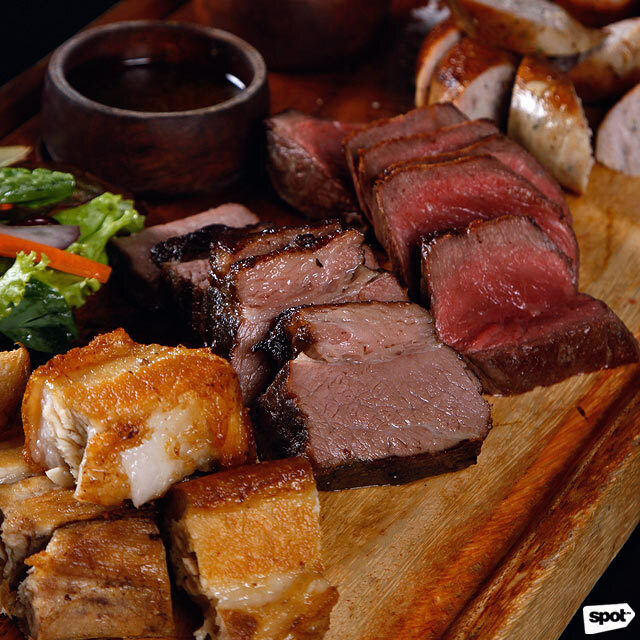 Take your pick from the Frito (P1,200), an all-fried platter with calamari, tawilis, baby shrimp, three kinds of croquetas, and crispy lengua; the Surf and Turf (P2,400), with grilled tuna, squid, shrimps, chorizo, and tenderloin; and the Carnivore (P2,950), a heavyweight champ with pork belly, brisket, U.S. certified tenderloin, salchicho sausage and chorizo. 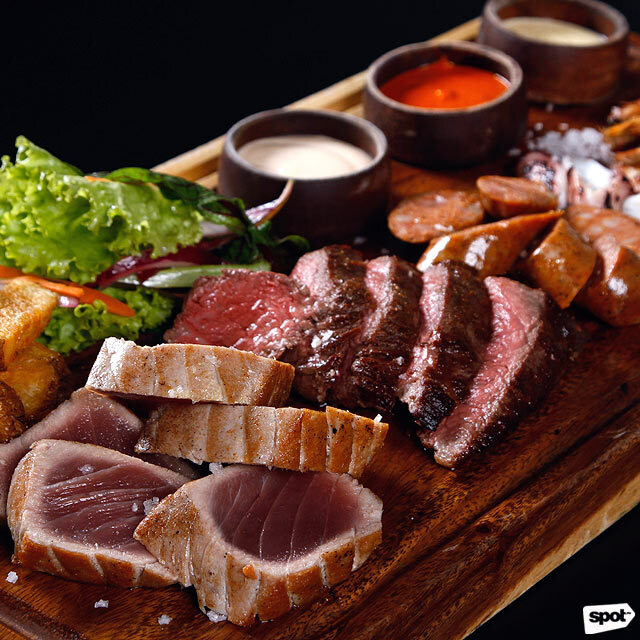 Each board comes with its own set of sauces, rustic potatoes, and salad, for you to mix and match as you please. 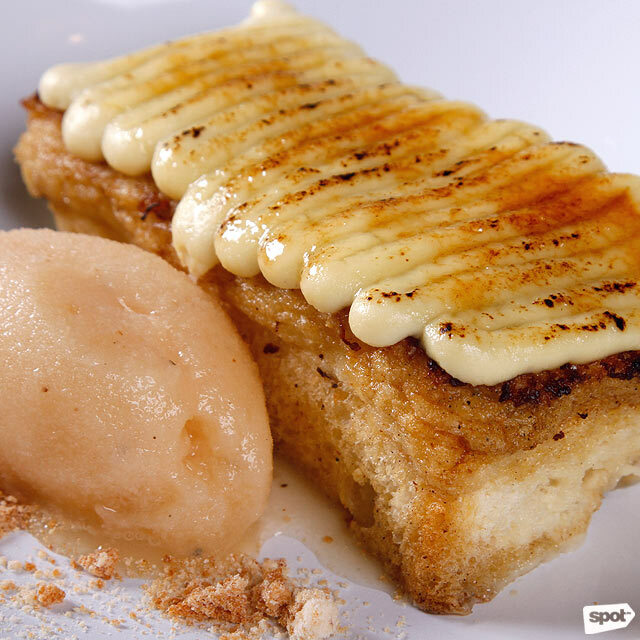 For a one-of-a-kind sweet ending, try the Torrija (P250)—a traditional Spanish dessert of milk-soaked brioche baked to caramelized perfection, similar to French toast. ArroZeria gives the dish a tropical twist with a squiggle of coconut custard (that gets wonderfully bruleed!) and coconut-pineapple sorbet that cuts through the pudding’s richness. They’ve got pastries, too, for those who prefer smaller bites. 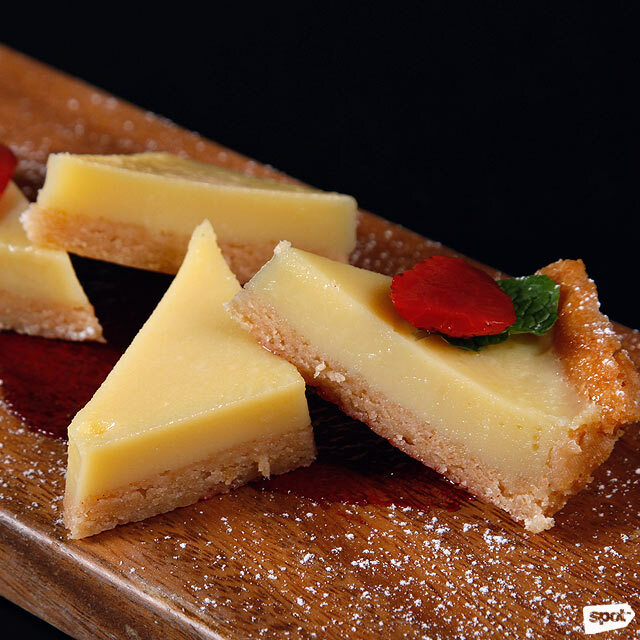 A favorite among customers is the White Chocolate Amaretto Tart (P120)—here, almond liqueur adds a rounded depth to a silky-smooth white chocolate custard base. Strawberries—both in jam form underneath and as thin slices on top—are a most welcome fruity counterpoint. ArroZeria takes its food seriously, no doubt. 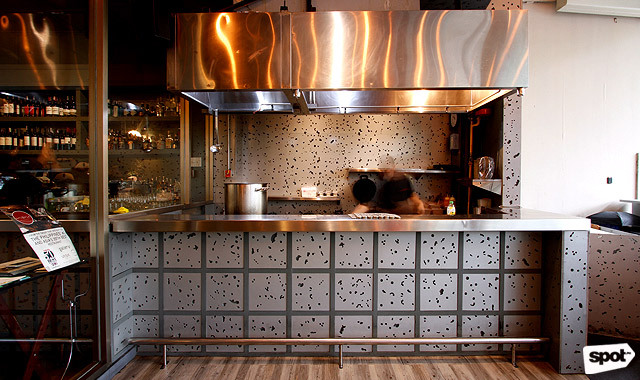 But what ultimately sets it apart from other Spanish restaurants in the Metro is a bigger advocacy. “The food and the flavors are authentic Spanish, but we pride ourselves for using Philippine ingredients,” shares restaurant manager Alvaro Martinez. In doing so, they are helping support the local, sustainable food movement—as executive chef Chef Chele Gonzalez has also done with Gallery Vask—and this is something they are more than happy to share with the customers. “We want people to appreciate what goes into their plate—where the ingredients are sourced from and how the preparation is done,” says marketing assistant Kim Encarnacion. 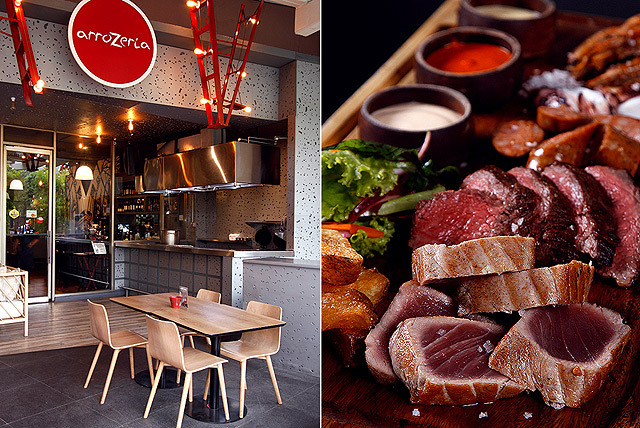 From the start to finish, from building blocks to the plated dish, ArroZeria knows how to show their food respect.